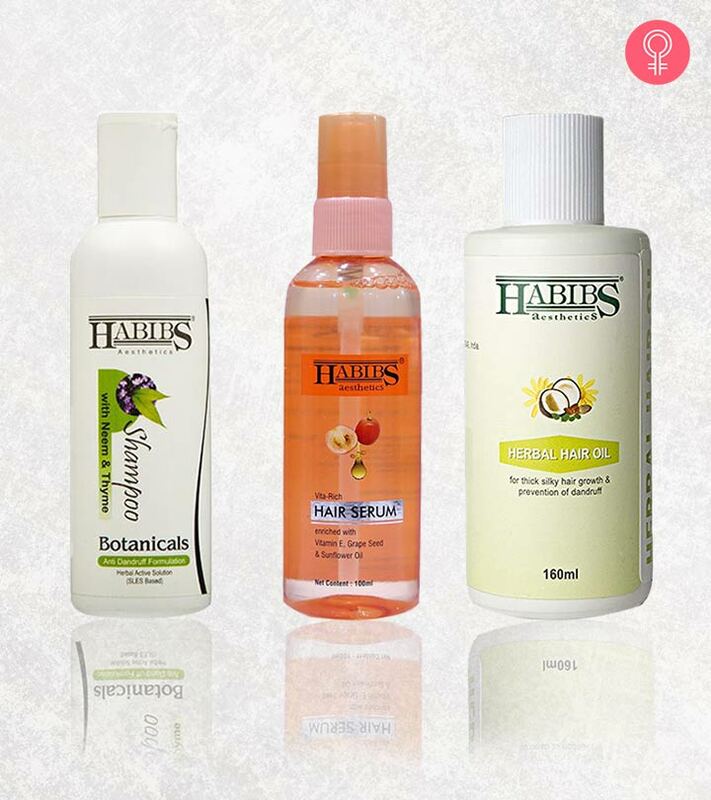 Whether you need to repair the damage, protect your hair color, smooth dry hair, or control frizz, Habibs entire hair care range can help you out. These diverse products will help you build your hair care regimen and give you the beautiful, healthy, and strong hair you’ve been dreaming of. 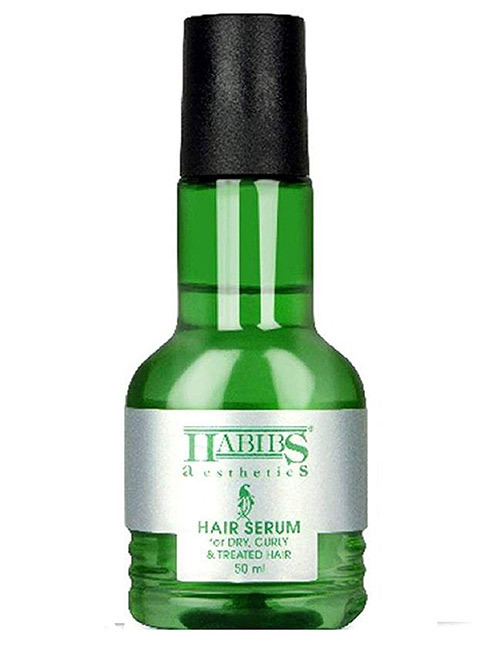 Here’s a list of 10 best Habibs Aesthetics Hair Products that you need to try out. Take a look. If you are turned off by chemical henna, here’s the perfect opportunity for you to switch to a natural one. 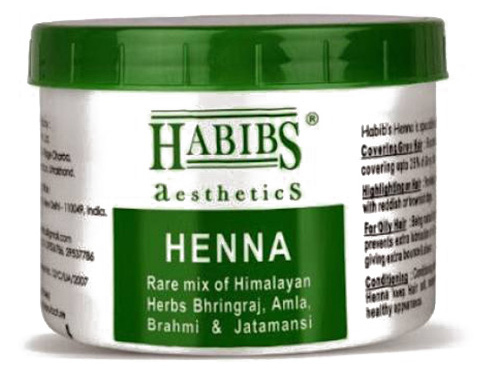 Habibs henna is especially recommended for covering up to 25% gray hair. It highlights your hair with a red or brown tinge. It also provides conditioning properties and makes your hair more manageable, soft, and healthy. This natural henna contains ingredients like bhringraj, amla, brahmi, and jatamansi. These herbs heal your scalp and provide the required nutrients for healthy hair growth. 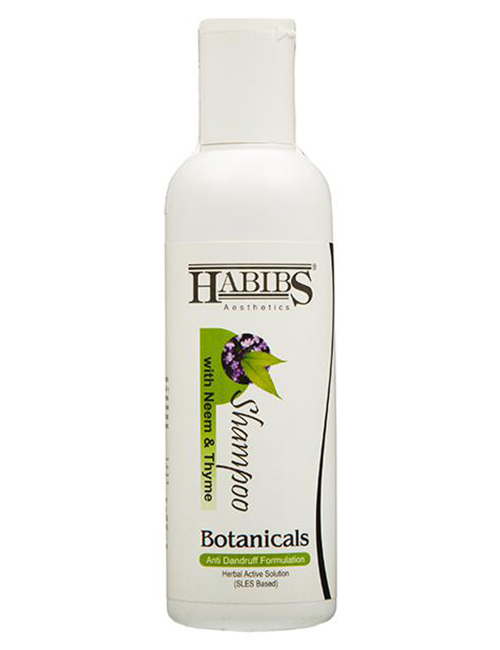 This gentle cleansing shampoo with a jojoba oil base is the best remedy for dry and damaged hair. 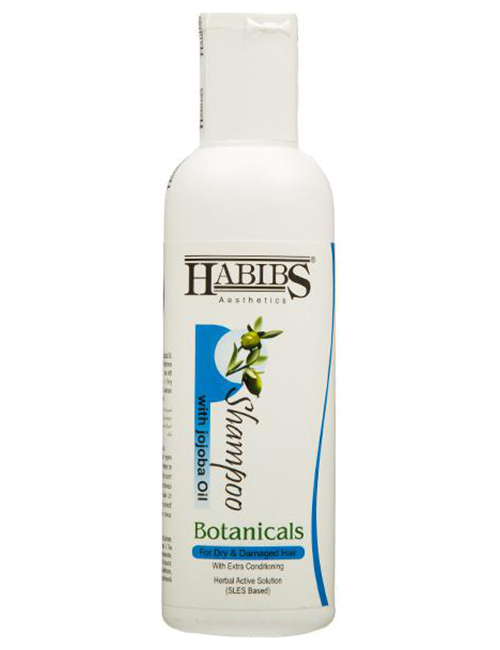 It cleanses your scalp and eliminates even the last traces of dirt and impurities. It conditions your hair strands and keeps them from tangling. It also makes your hair more manageable by taming unruly flyaways. It imparts shine that stays for two days. Do you often dust your shoulders to get rid of dandruff flakes? Then, it’s time you use an effective shampoo that is infused with anti-dandruff ingredients. This powerful blend is formulated with neem, thyme, and tulsi and is a perfect remedy for dandruff and other scalp conditions. It is a cold-pressed liquid that is packed with rich plant nutrients. This shampoo claims to keep your scalp free of product build-up, dead cells, and other impurities by forming a protective film on the surface. This way, your scalp remains clean, healthy, and flake-free for days. 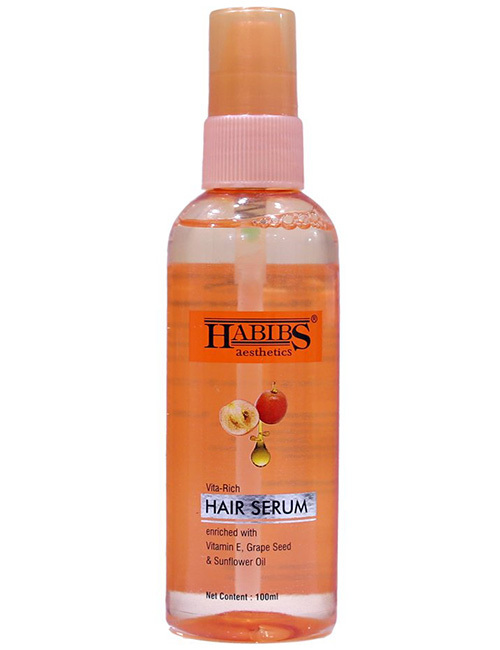 If you have fine and chemically treated hair, this hair serum is a perfect product for you. This serum provides you with multiple benefits – from taming frizz to adding shine. 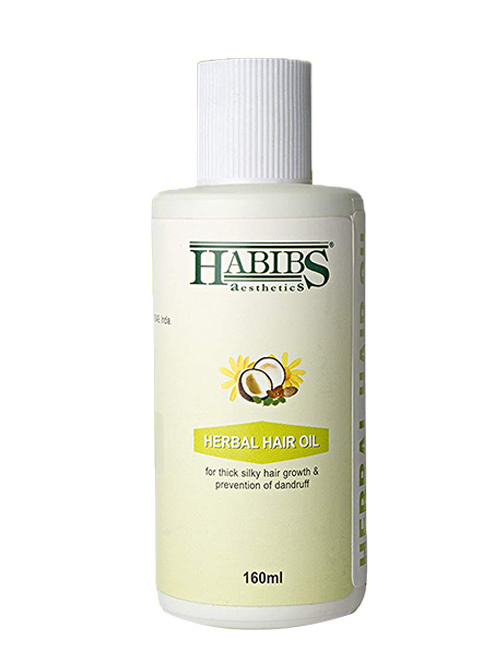 It nourishes the follicles and reduces split ends. For best results, take a few drops and apply evenly on damp hair. It detangles your hair and controls frizz. After just one use, you will notice visible softness, shine, and manageability. The best part about this product is that it lets you comb your hair and style it with ease. This herbal oil is infused with nutrient-rich ingredients like tea tree oil, almond oil, basil oil, wheat germ oil, rosemary oil, ajwain oil, coconut oil, and jojoba oil. These oils are mixed with a bunch of other herbals powders like jatamansi power, bhringraj powder, brahmi powder, and nagarmotha powder. They add elasticity to your hair, making it thicker, stronger, and healthier with every use. This oil helps prevent dandruff, split ends, breakage, and hair fall. Want glossy hair instantly? 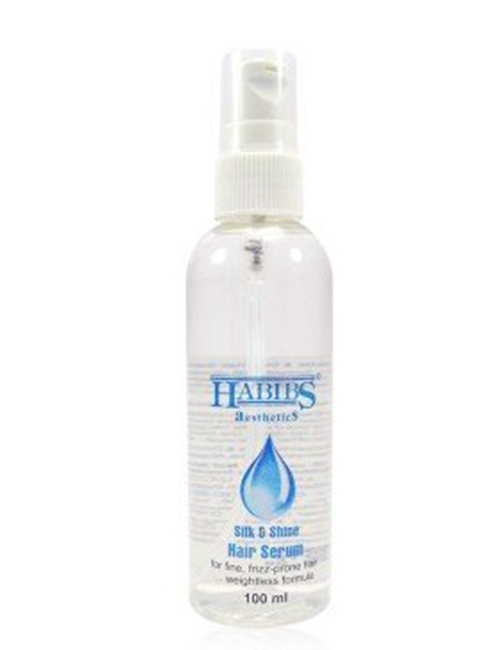 Leave it to Habibs Silk & Shine Hair Serum! This serum is made specially for frizz-prone hair. It is a weightless formula that adds shape to your hair, protects it from heat damage, and imparts luminous shine to it. It is formulated with silicone oil complex to add extra shine to your hair and brighten its natural color. 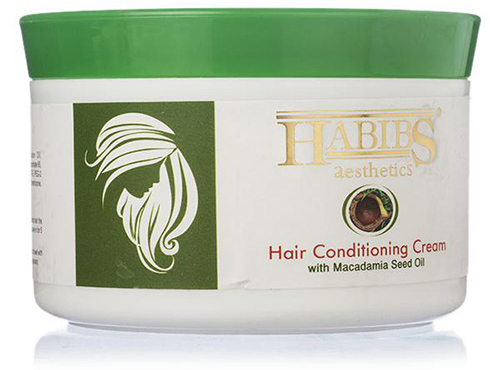 It contains Abyssinian oil that adds silkiness to dry and brittle hair. This glossy serum controls frizz and tames stubborn flyaways. It settles unruly hair without weighing it down. This thick and creamy conditioner is created for those with dry, frizzy, and undernourished hair. It eliminates tangles and rejuvenates hair instantly. The key ingredient, wheat germ oil, combats hair loss, dandruff, and dryness. It also promotes hair growth and adds shine to dull and lifeless hair. 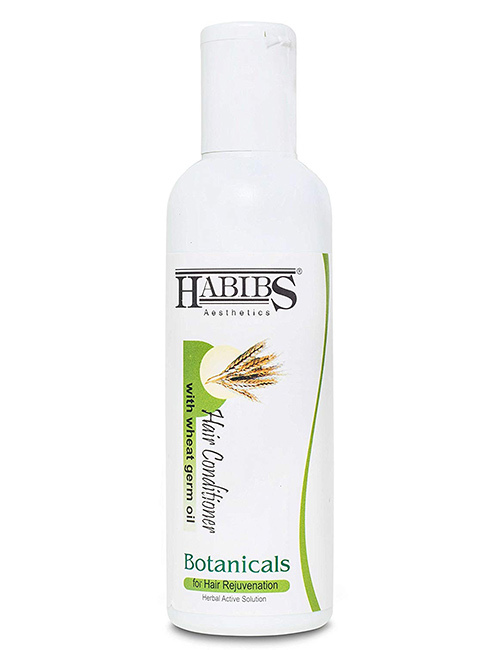 This conditioner claims to provide strength, resilience, and body to fine and limp hair. It leaves your hair looking clean, fresh, and healthy. Pamper your tresses with this conditioning cream that claims to soften dry and rough hair instantly. It contains macamedia oil that nourishes and conditions your hair. It adds moisture to depleted hair and improves its elasticity. The formula repairs your hair at the cellular level by providing it with necessary nourishment. It also reduces dandruff and flakiness. 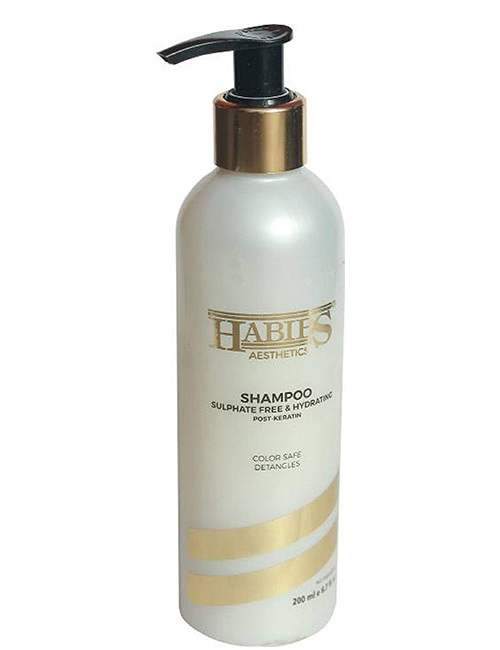 Habibs Sulphate-Free & Hydrating Post Keratin Shampoo is created especially for chemically treated, colored, and straightened hair. This shampoo claims to straighten, smoothen, and condition your hair. It softens dry hair and repairs damaged cuticles. It contains shea butter and a bunch of herbal extracts that penetrate the hair fibers and make them silky, shiny, and soft. Is your hair dry, brittle, and lifeless? Then, you need to try this vitamin-enriched hair serum to protect your tresses from further damage. This serum is enriched with a natural blend of ingredients like vitamin E, sunflower, and grapeseed oil. These ingredients nourish your hair to make it frizz-free, soft, silky, and flowy. It tames unruly wild hair and lets you style your tresses without weighing them down. It provides good hold and adds stunning gloss to your hair. Using products created by experts will help you keep your hair insanely gorgeous. So, what are you waiting for? Quickly grab your favorite product, try it out and let us know about your experience in the comments section below. Who doesn’t know Jawed Habib? He is a brand himself. Jawed Habib Hair products are an extension of this brand. Here is a list of the 5 best. Is the thought of hair damage from chemicals restricting you from coloring your hair? Try henna, the natural way to color and nourish your hair. Get yourself the beautiful, long & luscious hair with popular hair products. Know the most popular hair care products that work effectively on nourishing your hair.